Gaming notebooks have gone from brick-like, underperforming duds to platforms that can rival all but the most powerful of desktops in a relatively short amount of time. Much of this change has been brought about by new graphics, storage and processor architectures that put an emphasis upon efficiency without sacrificing high level performance. The result is some increasingly blurred lines between desktops and more mobile platforms. Eurocom came into this roundup with a sledgehammer in an effort to demolish the competition. The SKY X9 not only packs an i7-6700 desktop processor (unfortunately not the K-series iteration), a whopping 32GB of fast 2400MHz memory and two GTX 980M 8GB GPUs working together in SLI. Perhaps the crowning –or pointless- addition here is the 4K IPS panel. We also have a stand-alone desktop-class GTX 980 with on an MXM 3.0 add-in card so we can test framerates with what amounts to a less expensive option in Eurocom’s extensive setup page. Getting access to the SKY X9’s interior couldn’t be easier and there isn’t a single Warranty Void if Removed sticker to be seen. 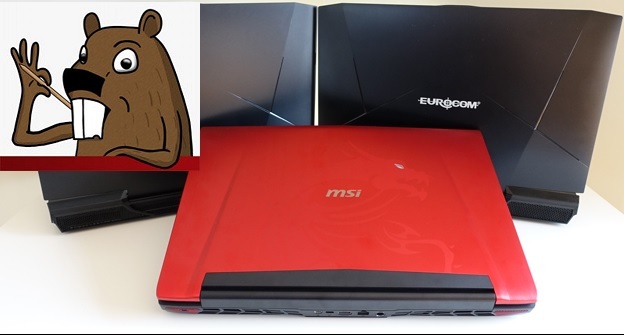 Eurocom actually encourages you to upgrade their notebooks and have several upgrade kits available for their older systems to bring them up to today’s performance expectations. As with all Eurocom notebooks, when buying the system with Windows pre installed (the system is also available without an OS installed) it comes in a completely virgin state without any needless bloatware. Once I get to the MSI Dominator Pro, you’ll see why this is so important. However for the time being let’s just that it’s nice being greeted by a simple software stack containing applications for sound setup and performance modes rather than countless popups. 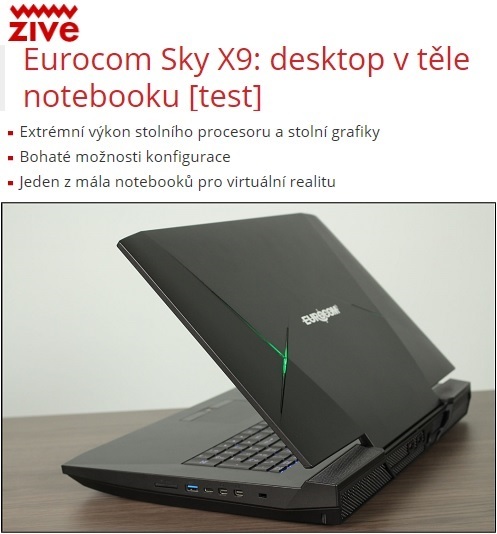 Toto je bezpochyby nejvýkonnější notebook, který jsme na Živě testovali. Procesor pro stolní počítače, grafická karta bez přídomku mobilní, špičkové komponenty a to vše v těle, které se vám vejde do většího batohu. Eurocom Sky X9 je bezesporu fascinující počítač. Pokud jdete v prvé řadě po výkonu, který můžete nosit sebou, je to ultimátní volba. Desktops have been the undisputed king when it comes to PC gaming, and while the platform isn’t quite ready to relinquish the crown yet, the gap between desktops and laptops is shrinking rapidly. Helping to bridge that divide is the Eurocom Sky X9, a powerful gaming rig with an optional desktop-grade Nvidia GeForce 980 GPU. It’s a desktop replacement in truest sense of the word. Armed with an Intel Core i7 CPU, up to 64GB of RAM and a cornucopia of storage options including RAID 0 configurations, the Sky X9 is capable of tackling almost anything you throw at it. The sky’s the limit for this gaming behemoth, the only issues is that the price tag soars just as high. 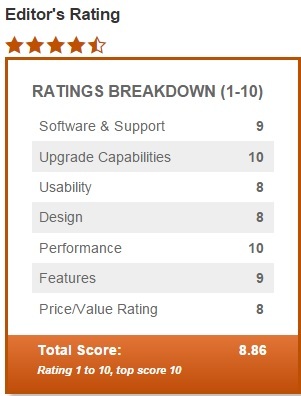 The Eurocom Sky X9 is powerhouse, as evident by the machine’s stellar test results. Armed with an 6th generation Intel Core i7-6700K 4GHz CPU, with 32GB of RAM, a desktop grade Nvidia GTX 980 GPU with 8GB of GDDR5 and a 512GB PCle SSD, the Sky X9 excels in every area, making it one of the most powerful gaming laptops we’ve tested. 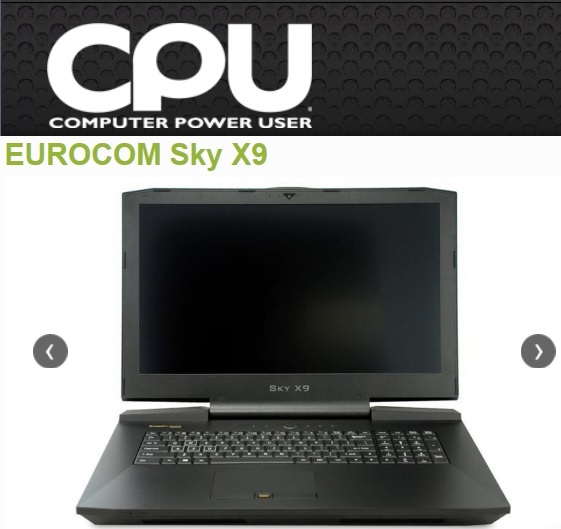 The Eurocom Sky X9 excels on almost every single front. It’s powerful, with a wide array of spec options to choose from including desktop-grade graphics. The screen is excellent with great color reproduction and a flexible viewing angles. The keyboard offers keyboard has great travel and feedback albeit it can be difficult to reach at times. 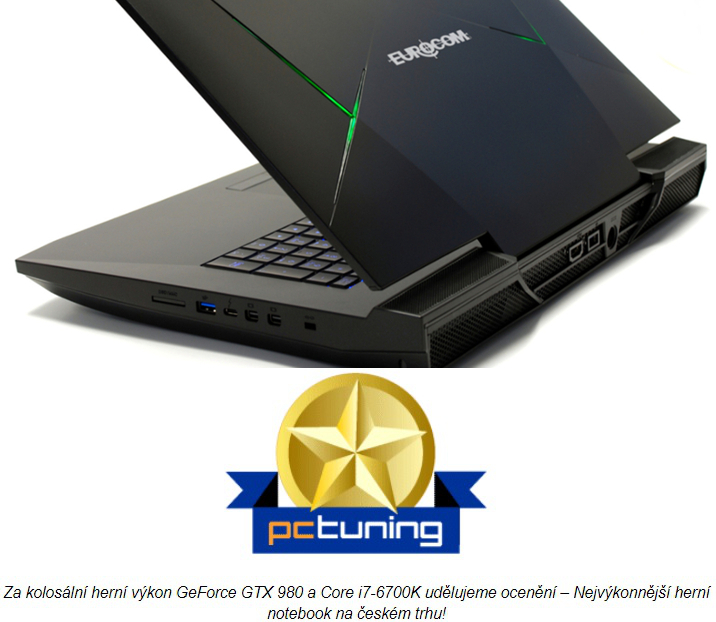 Za kolosální herní výkon GeForce GTX 980 a Core i7-6700K udělujeme ocenění – Nejvýkonnější herní notebook na českém trhu! A full tower rig filled with 10-inch long, dual-slot GPUs is what often comes to mind when people talk about a gaming PC, yet the ever-shrinking nature of chips and perpetuation of Moore’s Law have made it possible for small form factor systems and notebooks to deliver gaming performance that’s right in line with big desktop PCs. Take, for example, the EUROCOM Sky X9 notebook on our test bench today. 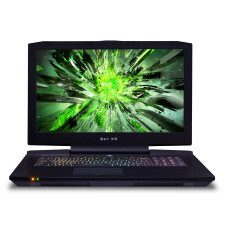 It comes with two NVIDIA GTX 980M GPUs in SLI, an Intel Core i7-6700K, and 16GB of Kingston HyperX Impact DDR4-2400. That’s right, Intel’s flagship Skylake processor is onboard, rather than a cut-down mobile version. EUROCOM Sky X9’s benchmark numbers are better than many a gaming rig we’ve tested. And quite frankly, there are about as many desktop PC parts inside the system as there are mobile parts. The multitude of video outputs is also a big bonus for gamers who want to expand their desktop so they can game across several monitors. The Sky X9 is the total package for enthusiasts who want to replace their desktop PC with something that provides the same or better performance—while also delivering the portability that only a notebook can provide.